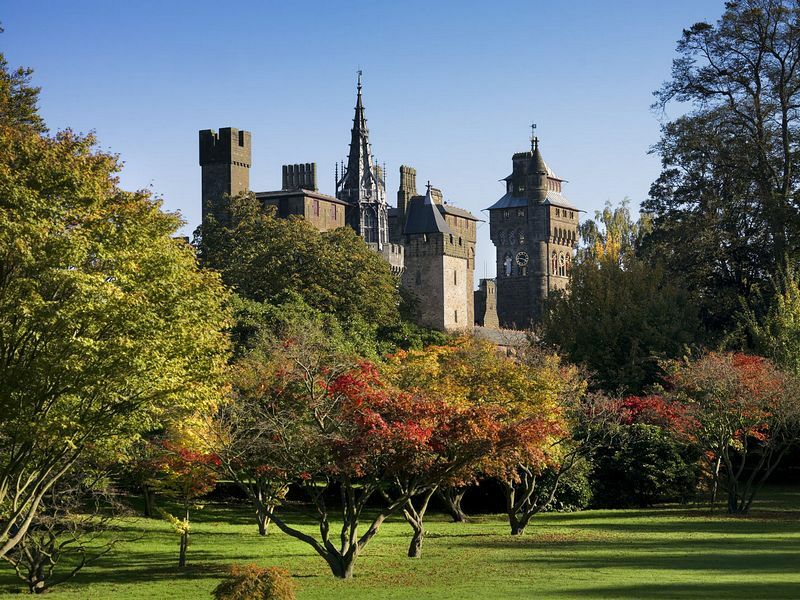 Located in the heart of the Welsh capital, Cardiff Castle enjoys 2000 years of history. In the 19th Century, the Castle was transformed into a carved and gilded fantasy by eccentric architect William Burges. A number of these spectacular apartments will be on view everyday, including the Banqueting Hall and Library, available for visitors to view at their own leisure with knowledgeable guides on hand to explain the history and decoration of the rooms. 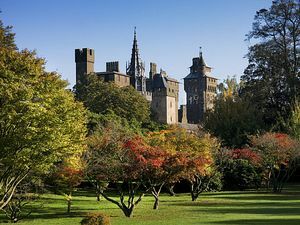 The Interpretation Centre is home to an introductory film show, bringing the last 2000 years of Cardiff Castle to life, whilst the audio tour will be your guide around the Norman Keep, the Battlement walk and the Castle grounds. A café and gift shop, as well as the newly opened military museum, Firing Line, will complete your visit. Average length of visit: 3-4 hours. Disabled access throughout site, except Keep and Castle apartments due to many steps. Also available, traditional Welsh evenings with banquet, wine and entertainment. Prior booking essential. Follow signs for City Centre and then brown signs for Cardiff Castle.